No Other Exercise Program Is More Personalized or Effective For Getting Results! What Is Your “Personal Fitness Plan”? Clipping generic, cookie cutter plans from magazines will only lead to disappointment, for one simple reason: as your body changes, your needs change, and so your exercise plan must change too. If you’re not constantly tweaking your plan to fit your ever-changing needs, you’re guaranteed to stagnate. As your personal trainer, I will find the most productive exercises for you and teach you how to use them safely and effectively. Personal trainers and fitness classes that use one size fits all programs, or worse, doing things at random, do not possess the problem solving and critical thinking skills to design the right program for you. I design sustainable, personalized fitness programs for all ages and fitness levels that are safe, progressive and deliver measurable results! Your Personal Fitness Plan Will . . . Consider your physical needs, abilities, limitations and preferences. Make exercises that used to be painful, feel pain-free and purposeful. Educate you on proper exercise technique . Never put you in an unsafe or unstable environment. Clearly demonstrate the value and benefit of every exercise to your goals and needs. Make a significant difference in your physique, level of fitness, general function, and health. 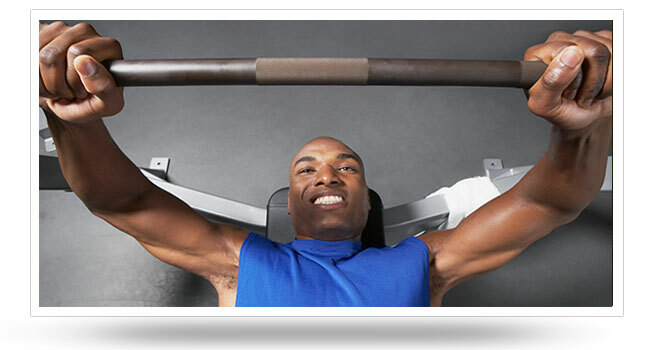 Place emphasis on a gradual and continual progression in strength, function, and fat-loss. On my first workout with Craig, I could barely bench press 45lbs and my pushups were really quite terrible – cyclists tend to be lower body dominate. Craig created a program for me that really focused in on my trouble areas so that I could achieve my goals. Now, 8 weeks later at the time of this writing, I am lifting 85lbs, with the weight still increasing with nearly every session, and this was all from just seeing him only once a week! My already great cardio is now really REALLY efficient, and continues to get better every week. As for my pushups, I can’t believe I ever thought they were hard.